This is another good example of Modern Movement architectural style in Savannah. Carl E. Helfrich and Daniel L. Grantham were the architects. 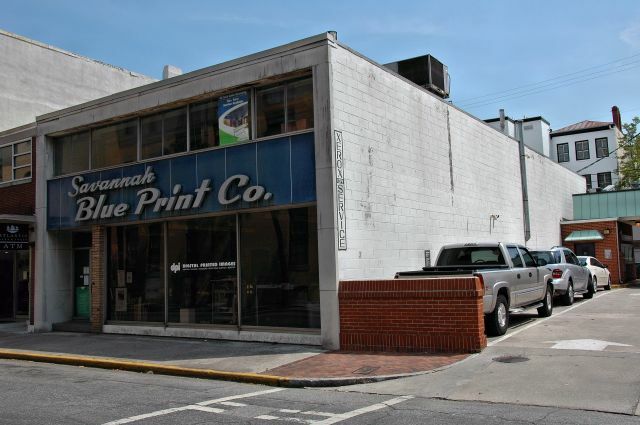 The Savannah Blue Print company has been in business since 1925. Thanks to Cyrus Utley at Savannah Blue Print Company for this information. I love seeing this building when we drive by. It reminds me of something out of the Fallout games.